YouTube has always allowed you to delete selected items from your watch history, but now Android users can take that a step further. 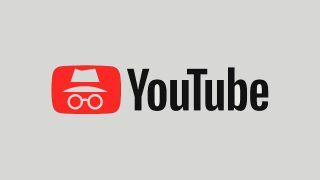 The YouTube app's new Incognito Mode will let you watch videos without ever leaving a digital trail of evidence in the first place (your IP address will still be recorded, so it's probably best that you don't go crazy at work). To initiate Incognito Mode in the YouTube app, tap on your Account icon. Here, you'll find 'Turn on Incognito' located just above the Settings cog. From this point on, your viewing history will not be recorded. While it's nice of YouTube to introduce the sneaky feature, it must be said that it's a little flawed in its execution. For instance, attempting to watch age-restricted content while Incognito will require you to switch off the mode and sign into your account again, effectively rendering the feature somewhat pointless. Essentially, switching on Incognito Mode offers you the exact same YouTube experience that you'd get if you never bothered signing in at all — along with an inability to watch mature content, you won't be able to comment, like, add favorites or subscribe to channels. That said, the process of switching off the feature and getting back to your regular account is a great deal quicker than having to go through the usual login process. If for some reason you're desperate to keep your obsessive viewing of family-friendly content a secret from those close to you (perhaps you're embarrassed about binging all those Bieber videos), YouTube's Incognito Mode will do the trick. While Incognito Mode is already available in the Android YouTube app (version 13.25.56), there's still no word on when the iOS version will be updated to include the feature, but we anticipate it will be soon. We'll bring you further information as it develops.